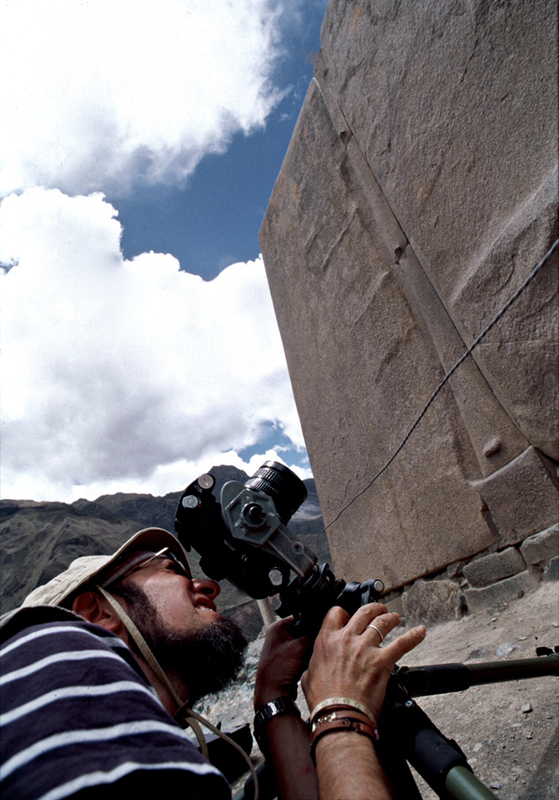 We make films and archaeological and archaeoastronomical research in the ruins of Ollantaytambo, one of the most monumental architectural complexes of the Andes, 80 km. From Cusco in the Urubamba Valley. Commonly called "Fortress" because of its huge walls, it was actually a city-bed and a solar temple, strategically located in the famous "Sacred Valley". The architectural type used, and the quality of each stone, worked individually make Ollantaytambo one of the works of spectacular and remarkable engineering that made the ancient Peruvians, especially in the area of the Temple of the Sun with its gigantic monoliths. By whom they were built these ruins? It really was the Incas their true builders? 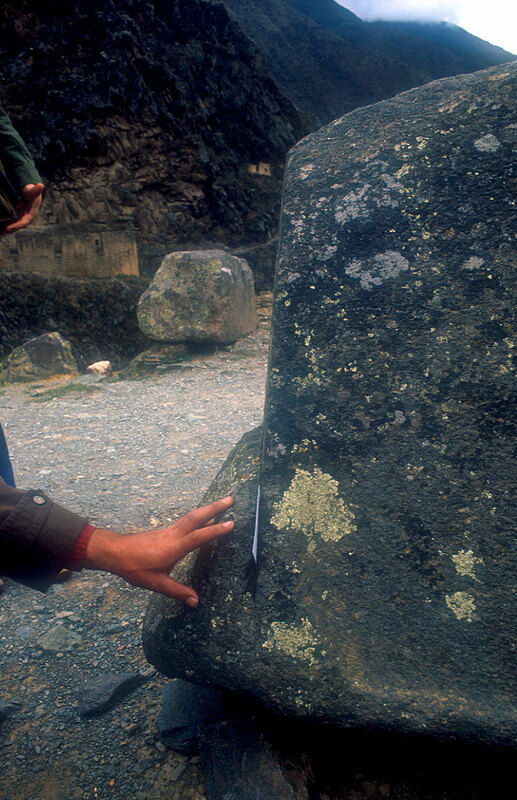 According to Pi Rambla, the sector of the Temple of the sun of Ollantaytambo, which is only a wall was not built by the Incas as announces the official archeology (DC 1440) but by an ancient culture that is still unknown. According to their research, some of the granite stones that make up this wall weighing over forty tons were transported from the mountain which is across the river of a distance of 4 kilometers with a height of over 800 meters. Many questions arise that even conventional science could not explain: How were they transported these enormous blocks of stone from a quarry located 4 kilometers away, perched on mountain slope to the very top where the sun temple is located? How they were planted and put in place?. Spectacular rock cut made with a totally unknown and very sophisticated technique as we can see in the photo. How they were cut and polished with such a level of perfection?. 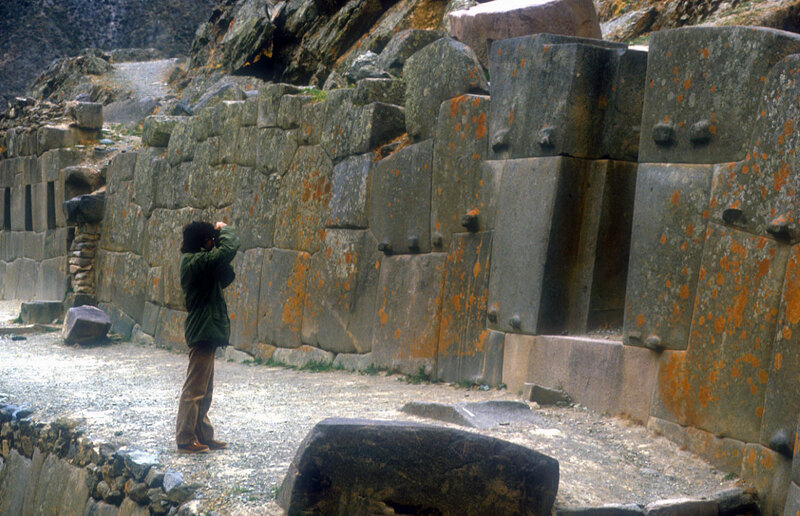 This is not achieved with tools of stone or bronze, as these materials do not make a dent in andesite and pink granite that Ollantaytambo was built. How did you managed to gather each other with such improbable perfection, you can not insert a sheet of paper in the joints? and they did it without any mortar or cement or some kind of sealant.